Teeth whitening are a procedure that is meant to restore the natural shade/colour of your teeth or whitening beyond natural colour to get a cosmetic makeover. A bright smile always makes a person more attractive and pleasant but with age and depending on the type of lifestyle we lead, our teeth can gradually get discoloured. We have a highly professional and skilled team of experts who would be able to bring back your smile and your confidence. Our teeth whitening packages are inclusive of a free consultation and are perhaps the cheapest of procedures available across Sydney. At just $375, you get the most gorgeous and painless teeth whitening in Sydney with Dr. Paulo Pinho. There is no need to wait when you can get stunning results immediately! In just a 45 minute of session, we will get you back to the world with your whitest smile ever! Teeth whitening are always a safe and viable solution for all those who want to improve the quality of their smile. If you have been dying to smile more freely and get back your self-confidence, we are eager to help you out. If you are feeling uncomfortable to smile as you have yellowish discoloration on your teeth, then you are not lonely. Researchers have proved an unambiguous relationship between a person’s loss of confidence and nerve – often displayed by a half-hearted smile – and their discoloured teeth. It’s little surprising to say that teeth whitening in Sydney interest nearly every demographical group – anybody from young city professionals to retired people who have had it done. After all, who doesn’t require their teeth to look fresh and sparkling? At No Gap Dentists, we enjoy restoring the confidence of having clear bright teeth to our customers – whoever they may be! We are dedicated to serving you help attain that flawless look of teeth whiteness and the option to keep that shine over time with our flexible teeth whitening prices in Sydney. Although the techniques of teeth whitening in Sydney may vary regarding procedure duration and results, they are among the most efficient in their respective classes. Both are non-surgical procedures that ensure to be highly safe – some would even say relaxing procedures for the patient. Before the actual procedure, our cosmetic dentists will examine your dental records and check your prevailing teeth conditions before giving an expert evaluation of the different teeth whitening choices and teeth whitening cost in Sydney that are fitting for you. Our dentists will look into issues like enamel thickness, receding gums, sensitivities and existing restorations for clues of whether you are the right individual for teeth whitening. We will even evaluate and discuss any underlying conditions that add to your teeth discolouration. All this procedure is carried out to make sure that you will receive complete care and the best outcome for the treatment process that you select. 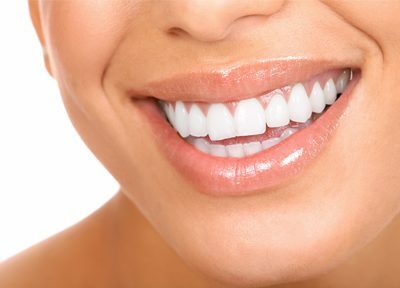 Although teeth whitening in Sydney consists of simple and easy treatment procedures, results may vary. At No Gap Dentists, we engage only the best professionally directed whitening practices and treatment customs to give you that natural, enduring bright smile that you’ve always required. For more details on our whitening treatments, speak to one of our friendly staff today. We are pleased to discuss your expectations when it comes to teeth whitening procedures. Contact us today to know more about the best way to achieve a sparkling smile.